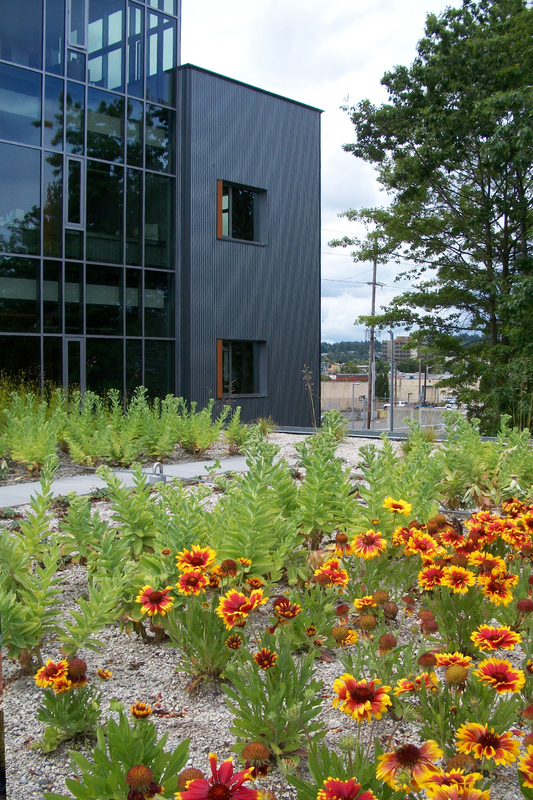 As the first project in a major urban revitalization master plan nearby Budd inlet and downtown in Olympia, a central priority for the design team was to highlight the regional importance of water through celebrating benefits of environmentally responsible wastewater and reclaimed water services. 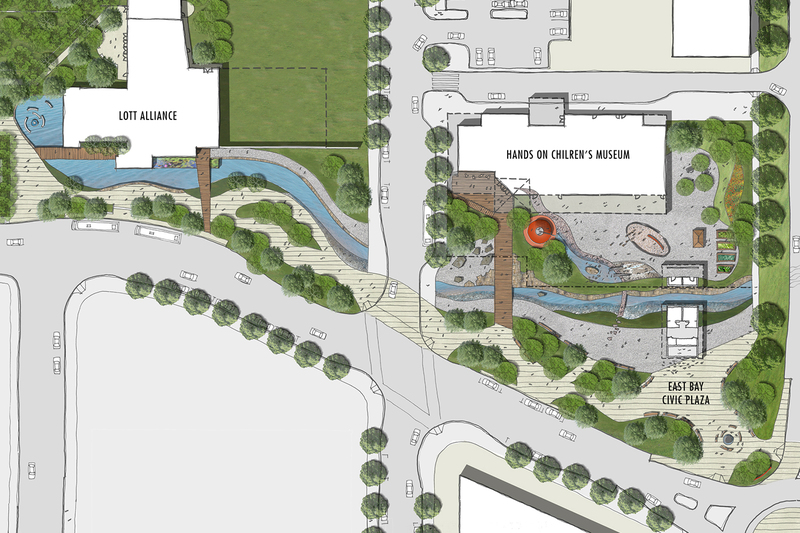 The main focal point on the site features a reclaimed pond that is intended to educate and inspire the community while providing an enduring and timeless environment. 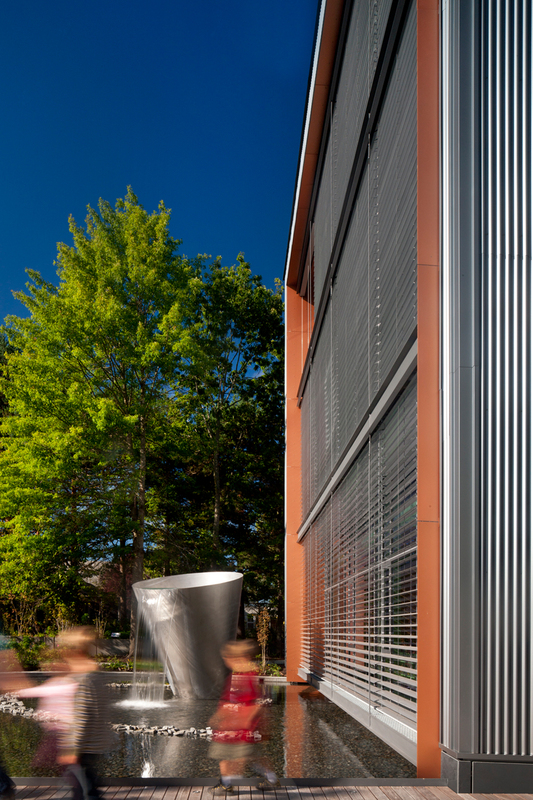 The pond’s stainless steel conical sculpture as a form alludes to the LOTT’s industrial processes, and is aligned to provide a compelling visual connection from downtown. 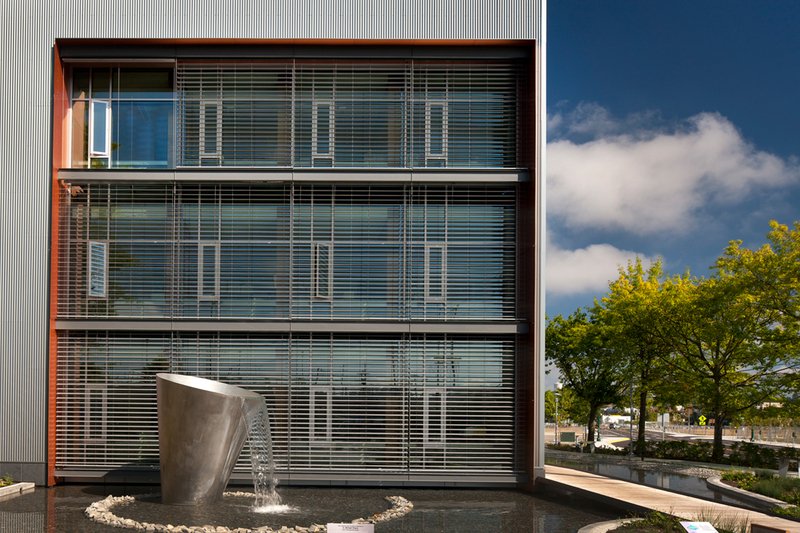 The holistic site design embraces the streetscape through a public plaza with integral seating and native planting. The simple material palette of alternating bands of raked and brushed concrete, wood boardwalk bridge and ballast emphasizes the industrial history of the site. 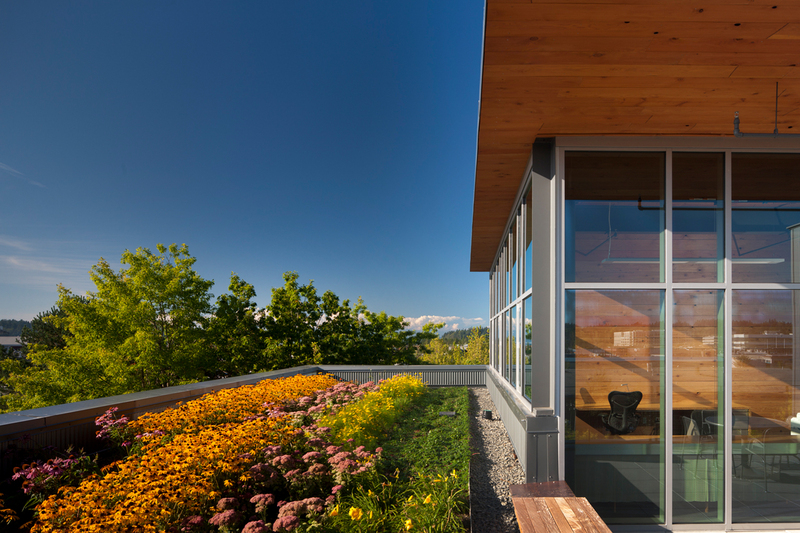 The design encourages wildlife habitat through the removal of invasive species and introduction of a variety of native species.